A self-described “foodie” and one of America’s most respected dieticians, Paulette Lambert is passionate about showing people how to cook for health and eat with pleasure. 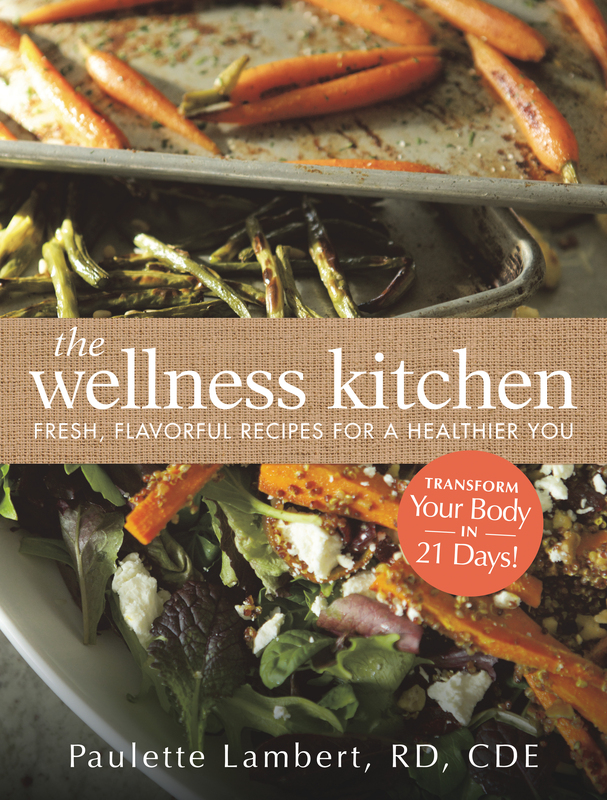 Her new book, THE WELLNESS KITCHEN: Fresh, Flavorful Recipes for a Healthier You, offers fresh and flavorful food that also reflects the best research-based findings for optimal health. Designed to tempt any palate, these mouthwatering recipes conform to the nutritional guidelines developed by the FDA and accepted by the nation’s top health experts. THE WELLNESS KITCHEN draws upon Paulette’s remarkable depth of experience as a dietician, cook, teacher and lifestyle coach, offering well-balanced recipes that are entirely do-able and utterly delicious. This is the essential all-in-one cookbook for today, with 175 recipes featuring no-fuss ingredients, easy step-by-step instructions, and gorgeous four-color photography. This question isn’t directed at all to this book or author, just cookbooks in general. Is there any sort of screening by agents or authors to verify these are really the author’s recipes? As a practical matter, how could that be done? We only work with people who are experts in their field and have spent their career’s doing this. So their reputation and careers are on the line so they wouldn’t. What does happen is that in the contract the author signs a warrantees and indemnities clause that covers such things.